Alden Parker Tuttle, 92, who taught at the University [of Massachusetts] for 42 years, died March 22  in the Linda Manor Extended Care Facility in Leeds. He taught in what is now the Plant and Soil Sciences Department in the Stockbridge School of Agriculture, retiring as an assistant professor in 1972. 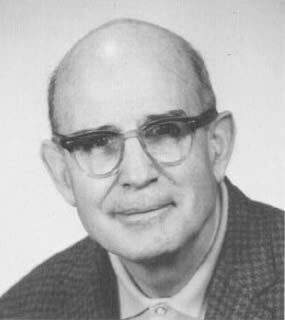 He was honored as an outstanding professor at Stockbridge in 1970. 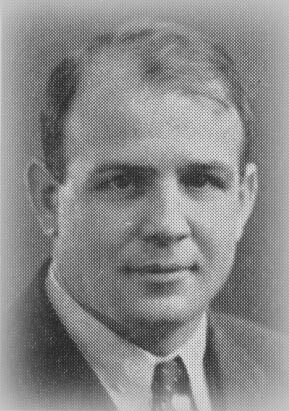 During the 1930s, he was an assistant coach in Stockbridge's football program. Born in Franklin, he graduated from Milford High School. He was a 1928 graduate of the former Massachusetts Agricultural College and received a master's degree from Penn State two years later. Following his retirement from the University, he served on the board of the Retired Service Volunteers Program and for 20 years volunteered at the Department of Veterans Affairs Medical Center in Leeds as a horticulture therapy specialist. He had been involved in several volunteer organizations, including the Small Schools Tournament in boys basketball, the Boy Scouts, national fraternal organizations and with the 4-H Club. He was a supervisor of the 4-H building for the annual Three County Fair in Northampton. He had been a member of the First Congregational Church in Amherst for more than 60 years. His wife, Marjorie Louise (Daniels) Tuttle, predeceased him. He is survived by his daughter, Deborah Jacobs of Leeds; two sons, Alden P. Tuttle Jr. of Indiana and Jonathan G. Tuttle of Shutesbury; and a granddaughter. Burial services have not be finalized, as he has donated his body to the Anatomical Gifts Program of the UMass Medical School in Worcester. He will eventually be buried in Wildwood Cemetary in Amherst. A memorial service will be held on the afternoon of Saturday, May 1 at the First Congregational Church. Memorial gifts may be made to the Not Bread Alone Soup Kitchen, 14 Boltwood Avenue, Amherst 01002. 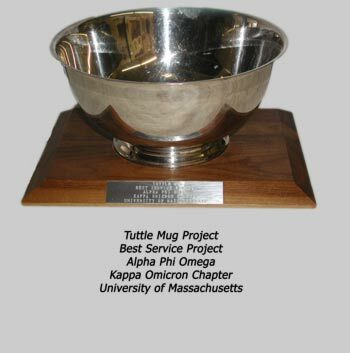 During his tenure as Faculty Advisor, KO established the Tuttle Mug Project award to recognize the best, new service projects performed by the chapter.